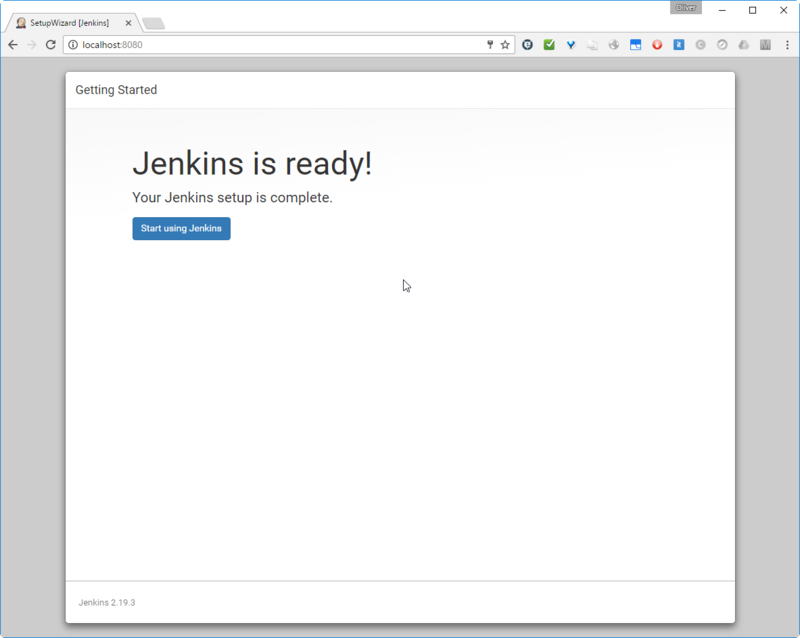 In this blog post, we will deploy and get started with Jenkins, the most popular open source tool for Continuous Integration and Continuous Deployment. As a modern way of installing, we install a Docker host and deploy a Jenkins Docker container on this host. Then we will log in and install commonly used plugins, before we poke around and prepare for the next step, i.e. 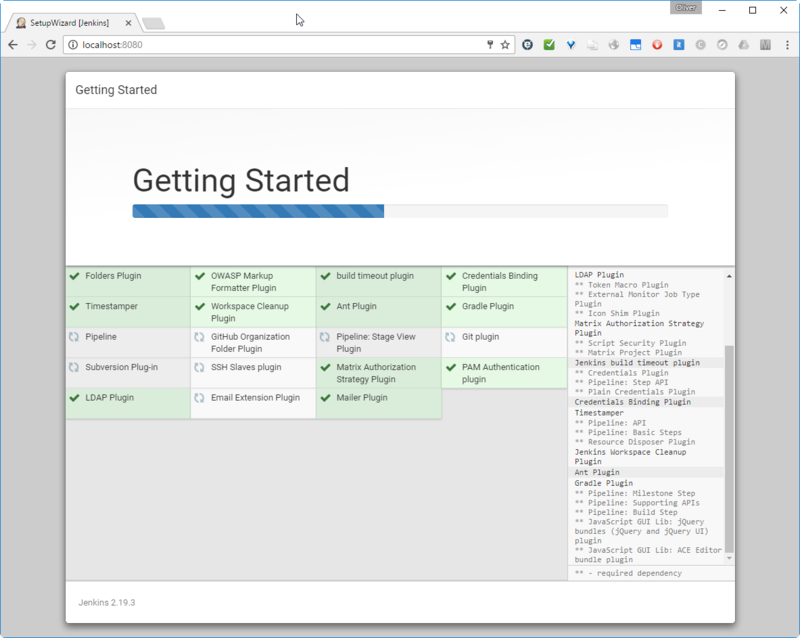 creating an automated build process for creating, testing and deploying software. In former times, software version life cycle was often counted in many months or years: a set of required features for a new version was defined, and then all of those features were first designed, then implemented, verified, delivered and maintained. In this software development process called waterfall process, each of the phase could take weeks or even months. Nowadays, most new software is created in an agile process. Unlike in the waterfall process, the time and other resources for a process cycle, the so-called sprint, is fixed: often to two or four weeks. A quite small set of features is implemented during each sprint, but all phases from design over implementation, test to delivery are accomplished in a single sprint. The great advantage of the agile methodology is that you can deliver a fully tested software version every two or four weeks. This is giving your customer the chance to see the progress and the developers can get early feedback, which makes sure they do not run into a wrong direction. Source: https://crowdsourcedtesting.com/resources/wp-content/uploads/2016/07/agile-methodolody_695x260.jpg found in this article. Since all processes, including software build, test and deployment, are performed every two or four weeks, this is an ideal playground for automation tools like Jenkins: it does not make sense to occupy a person with those tedious repeated tasks, if it can also be done by a computer. Here comes Jenkins into play: After the developer commits a code change to the repository, Jenkins will detect this change and will trigger the build and test process. The results are immediately sent to the developer. Since the steps are automated now, the developer can trigger the process after each small, incremental change. He gets early feedback, if he has broken the software unintentionally, which makes troubleshooting much easier. 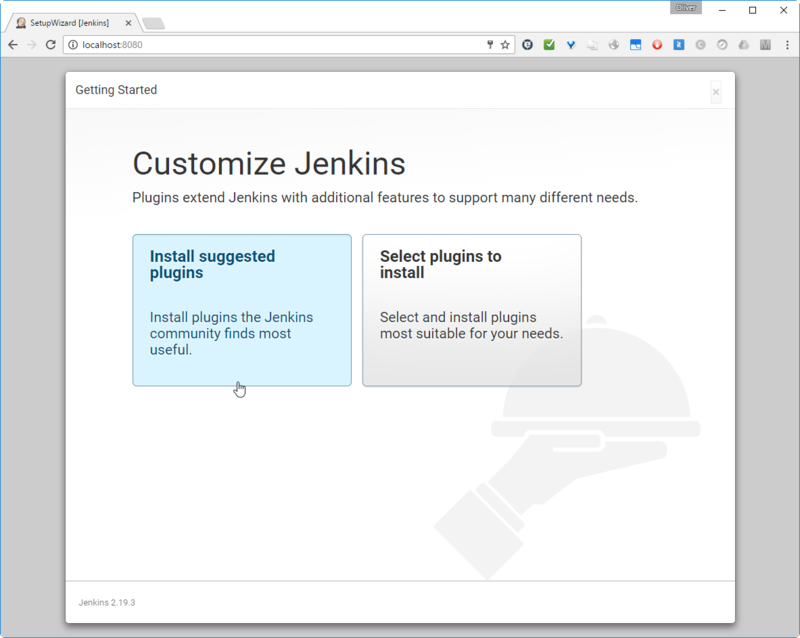 If all tests were successful, Jenkins can automatically deliver and deploy the software to a staging system or even to a production system. 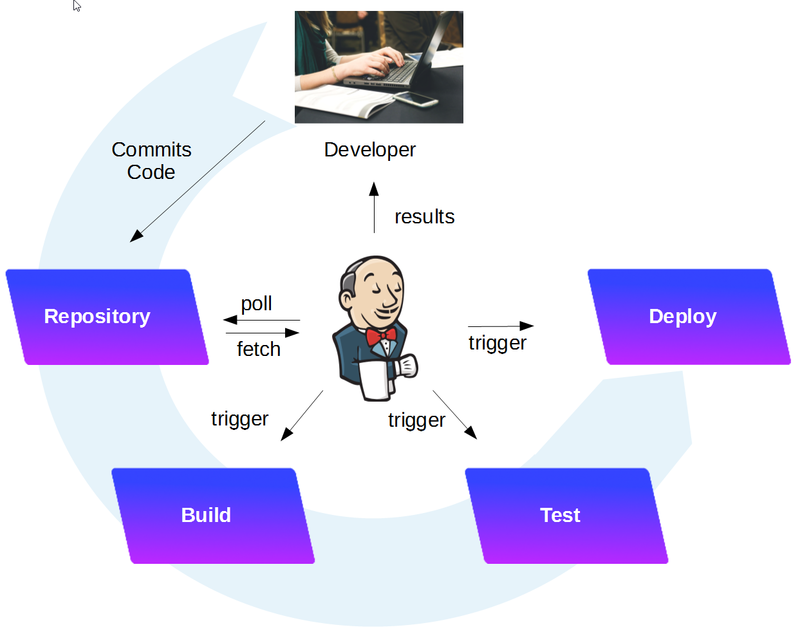 The whole process is called continuous integration (build and test automation with feedback), continuous delivery (deployment can be done “automated” with a push of a button) or continuous deployment (deployment is performed automatically with no manual intervention). If you are using an existing docker host, you can skip this step. Make sure that your host has enough memory. 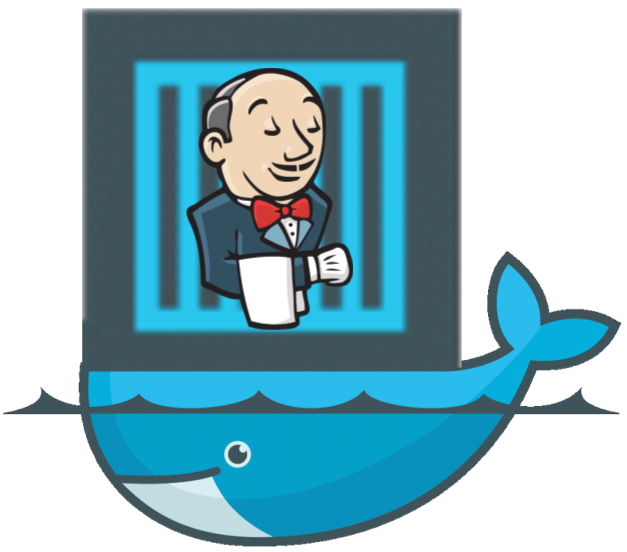 We will run Jenkins in a Docker container in order to allow for maximum interoperability. This way, we always can use the latest Jenkins version without the need to control the java version used. We are using version 2.9.13 currently. 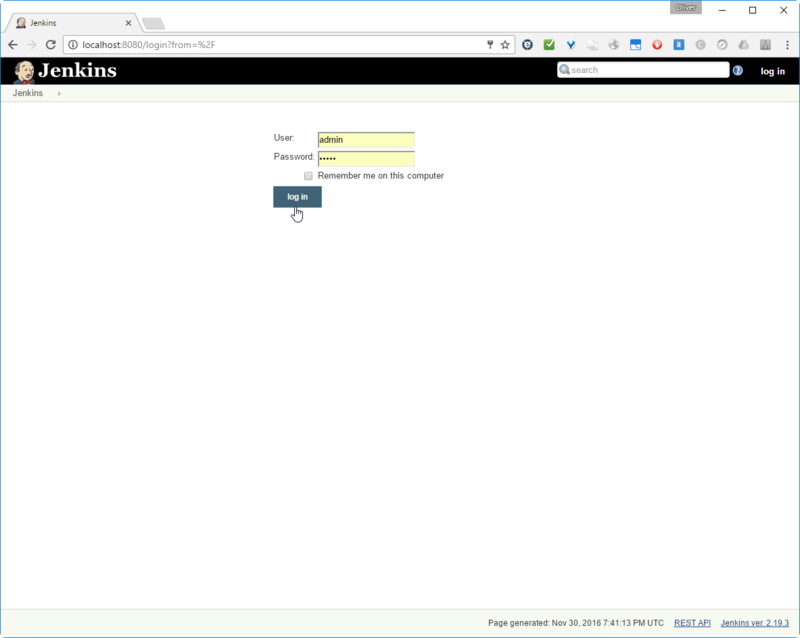 If you want to make sure that you use the exact same version as I have used in this blog, you can use the imagename jenkins:2.19.3 in all docker commands instead of jenkins only. 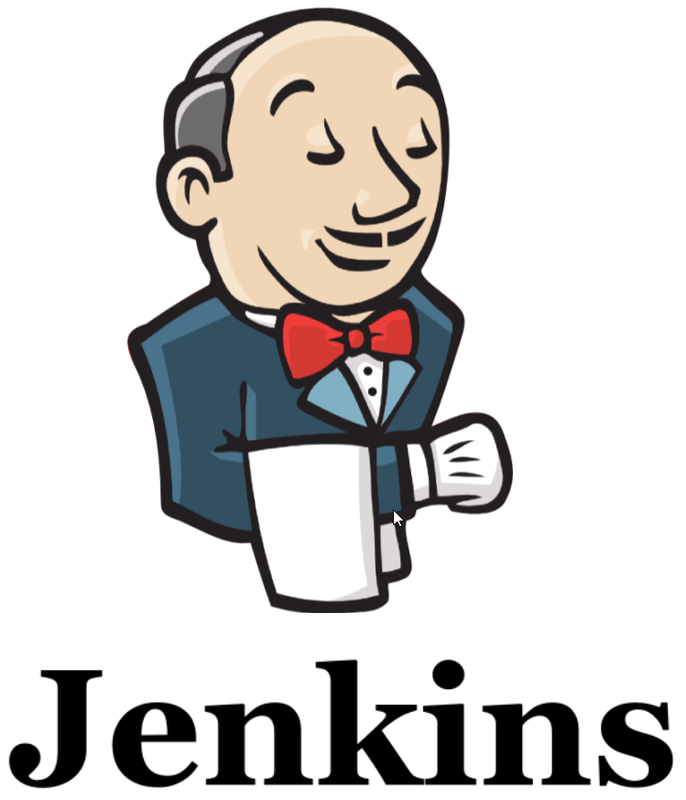 Note: The content of the jenkins image can be reviewed on this link. There, we find that the image has an entrypoint /bin/tini -- /usr/local/bin/jenkins.sh, which we could override with the --entrypoint bash option, if we wanted to start a bash shell in the jenkins image. However, in Step 3, we will keep the entrypoint for now. 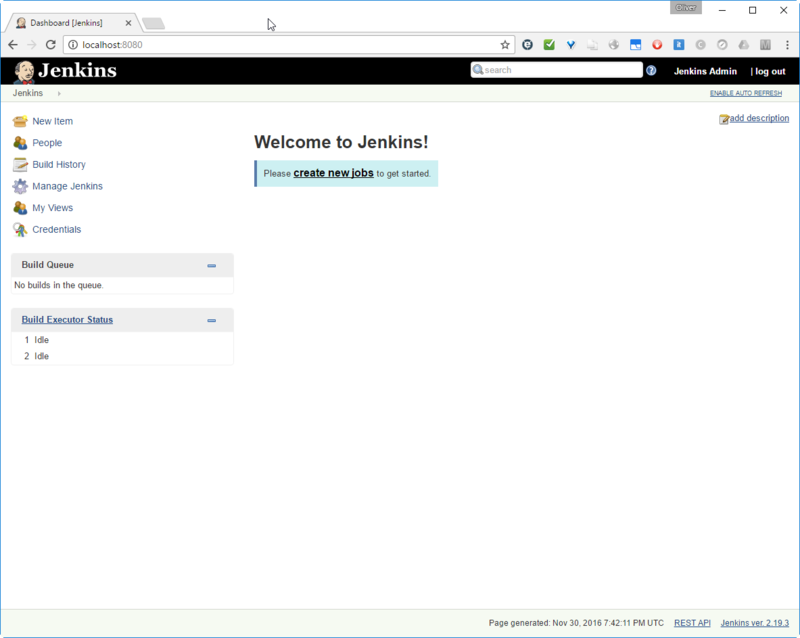 Note: The content of the jenkins image can be reviewed on this link. There, we find that the image has an entrypoint /bin/tini -- /usr/local/bin/jenkins.sh, which we could override with the --entrypoint bash option, if we wanted to start a bash shell in the jenkins image. on the mapped jenkins_home folder on the Docker host. Let us do so and save and finish. Note: After this step, I have deleted the Jenkins container and started a new container attached to the same Jenkins Home directory. After that, all configuration and plugins were still available and we can delete containers after usage without loosing relevant information. I have had a dinner break at this point. Maybe this is the reason I got following message when clicking the “Start using Jenkins” button? 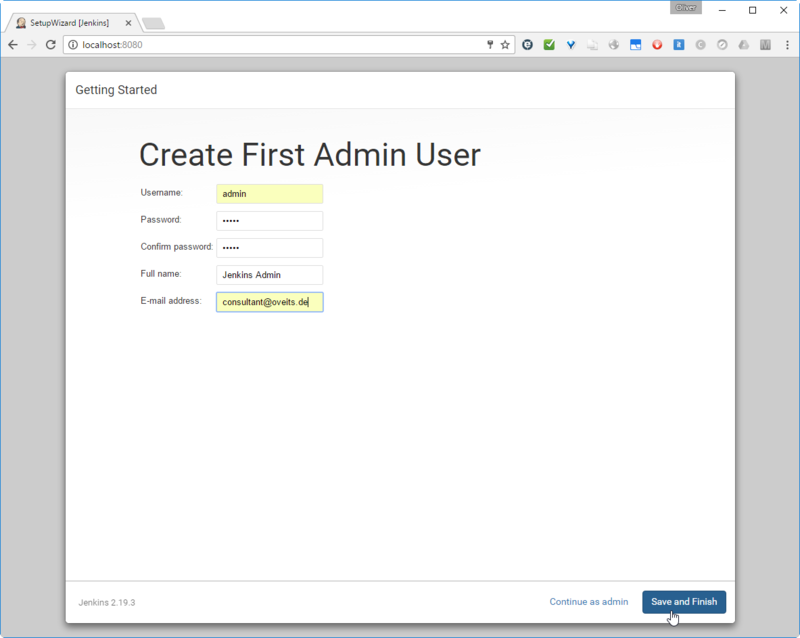 In the next, upcoming blog post, we will create our first Jenkins job. I plan to trigger the Maven and/or Gradle build of a Java executable file upon detection of a code change. 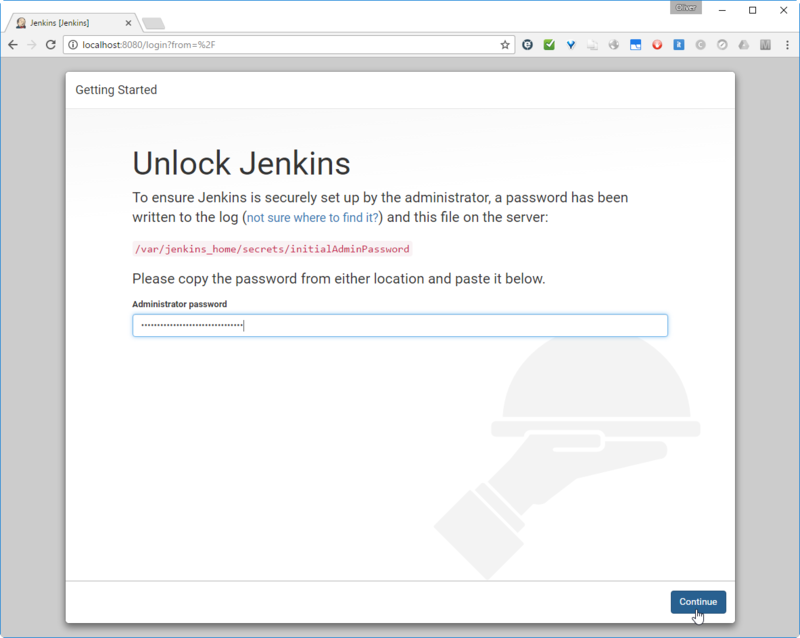 In order to avoid any compatibility issues with the java version on the host, we have run Jenkins in a Docker container. In order to better see what happens under the hood, we have chosen to run the Docker container in interactive terminal mode. 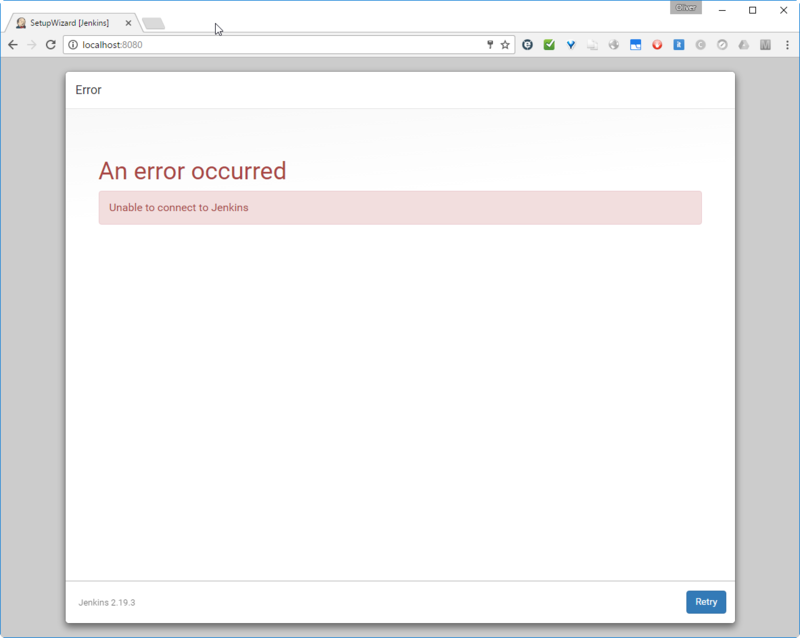 We have had an intermediate error “Unable to connect to Jenkins”, but this error was unreproducible and gone after the next click.